My whole family loves these! Although they may seem small (considering the size of muffin we can get in a bakery) but we always add a helping of fruit or yogurt for breakfast. Yummy! My whole family loves these! 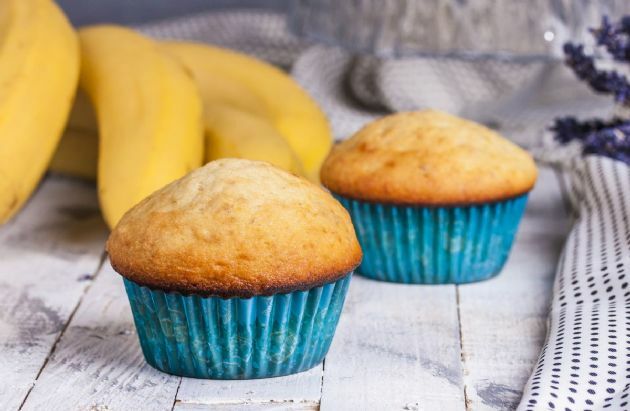 Although they may seem small (considering the size of muffin we can get in a bakery) but we always add a helping of fruit or yogurt for breakfast. Yummy! Preheat oven to 350 degrees F. Grease muffin pan or line with paper muffin liners. In medium bowl combine flour, baking powder, baking soda and salt together. In separate bowl, combine banana, sugar, egg and vanilla extract. Blend until well mixed. Add applesauce. Slowly combine dry mixture to banana mixture. Blend well. Scoop batter into prepared muffin cups. Bake 15-20 minutes or until a toothpick inserted in the center of a muffin comes out clean. Let cool before serving.